I’ve grown up surrounded by strong successful African women (and men). Many of these women including my own mother left their home countries to pursue education, marriage and family, and professional development abroad. They sought and the many that have come after them continue to seek greater opportunities than were available to them at home. 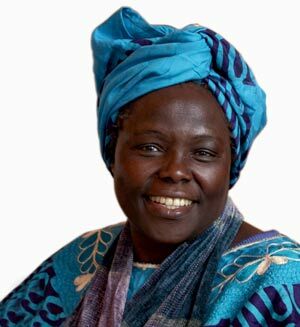 Wangari Mathaai, the first African woman to win the Nobel Peace Prize passed away last week in Kenya. She founded the Green Belt Movement and stood up to the authoritarian government of Daniel Arap Moi to advocate for improvements in society and for the protection green-space so vital to the livelihoods of many Kenyans. She and the countless other courageous women who joined her made the simple act of planting trees a powerful symbol of resistance. A protest against the prevailing politics of short-term greed and self-interest that is common in many lands. Despite arrests and other abuse, she was unbowed, and determined as ever to continue the struggle for what she was right. Ellen Johnson Sirleaf, the President of Liberia and the first African woman elected as head of state has long been a role model of mine. Since moving to Maryland, I’ve had the wonderful opportunity to meet, work with, and befriend a large number of Liberian women. I am amazed by their strength as many of them lived through untold hardship during the recent war there, but they remain fiercely proud to be Liberian and are as committed as ever to a lasting peace and seeing their country develop and prosper. 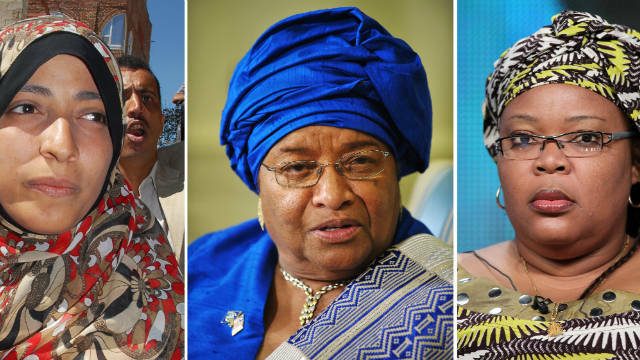 It’s not surprising that part of the Peace Prize was awarded to another Liberian woman and anti-war activist, Leymah Gbowee. She’s a fiercely independent woman, I love and admire her strength and courage. Hearing her Liberian accent evokes memories of all the strong Liberian women in my life that I am thankful to know. Any thoughts of fear were pushed aside by her anger witnessing the turmoil and suffering experience by ordinary Liberians. She used her intelligence, courage, and tenacity to unite Liberian women, both Christian and Muslim, for peace. To my mother and my other African mothers, Wangari, Ellen, Leymah, and the others, I am proud to follow in your footsteps as I too am stepping out. And a shout out to our Arab and Muslim sisters and Tawakkul Karman, the Yemeni activist, who also shared in the 2011 Nobel Peace Prize.